The Shabby Stamper: NEW Label Love! 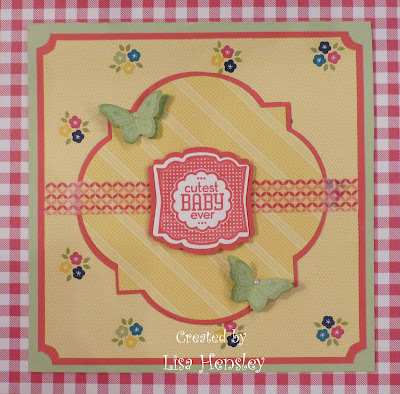 Here's my first attempt with Label Love and the Gingham Garden dsp. Love the new colors! The new Gingham Garden dsp and washi tapes are very cool, as well. I love the fresh look of Strawberry Slush and Pistachio Pudding together, too. All products are Stampin' Up!, unless otherwise noted.